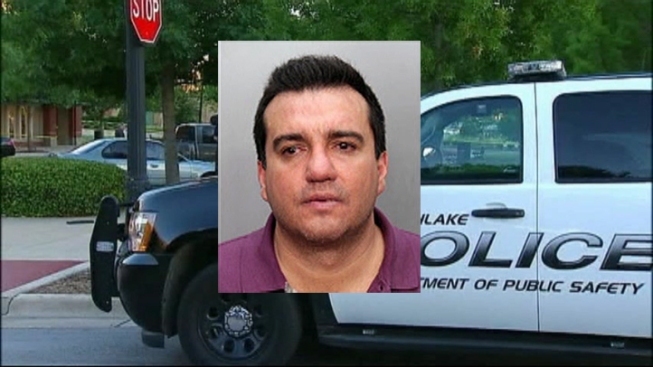 The FBI arrested three Mexican citizens, including a father and son who worked as police officers, in the 2013 execution-style murder of drug-cartel lawyer Juan Guerrero-Chapa in Southlake, several law enforcement sources told NBC 5. Jesus Gerardo Ledezma-Campano Jr., 30, his father, Jesus Gerardo Ledezma-Cepeda, 57, and his father’s cousin, Jose Luis Cepeda-Cortes, 58, were arrested in McAllen, Texas the sources said. The father and son were arrested after crossing into the United States from Mexico. Cepeda had been living in McAllen, according to the sources. Guerrero was gunned down in broad daylight near the Victoria’s Secret as he and his wife returned to their car from shopping. The FBI and other federal agencies joined Southlake's Department of Public Safety in the search for the killers. "I think the arrests actually show the federal agencies are working very effectively with local and state law enforcement officials in order to arrest individuals that have caused a great deal of harm or fear of crime to society," Tarleton State University criminal justice professor Alex del Carmen said. Investigators said from the beginning the murder had all the markings of a professional hit. NBC 5 reported soon after the shooting that Guerrero had been an informant for the U.S. Department of Homeland Security Investigations. According to his indictment, Ledezma stalked Guerrero for more than two years before he was murdered. Ledezma was indicted on a charge of interstate stalking. Details of the charges against the other two men were not immediately released. The father and son were police officers in San Pedro Garza Garcia, Mexico, which is a suburb of Monterrey, the third-largest city in Mexico, according to Mexican news reports and records obtained by NBC 5. Guerrero and his family were also from the same city. In September 2012, the Monterrey newspaper Reporte Indigo reported that Jesus Gerardo Ledezma-Cepeda was in charge of internal affairs for San Pedro Police and ran an intelligence operation which included eavesdropping on telephone calls. The article also claimed that he was suspected of sharing secret information with the Beltran Leyva drug cartel. Payroll records obtained by NBC 5 also show Jesus Gerardo Ledezma-Campano Jr. was a police officer in San Pedro Garza Garcia as recently as March 2010. Southlake police and federal agents plan to release more information at a news conference at 2 p.m. Tuesday.